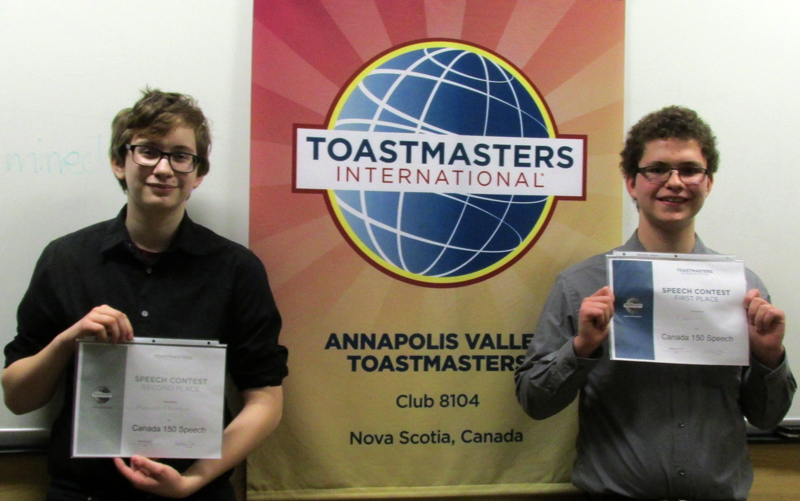 Annapolis Valley Toastmasters Annapolis Valley Toastmasters recently put out a speech challenge to students at four high schools in the area: Bridgetown, Middleton, West Kings and Central Kings. We congratulate the participants and look forward to hosting this challenge again. Prizes were awarded in recognition of the students’ outstanding efforts. Vice-President of Education, Catherine Ford comments on the "Traveling Gavel". We are current stewards of the gavel, having several members attending the Wolfville Toastmasters Club to claim the gavel. 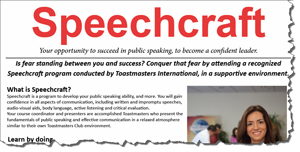 It is rumoured we will be visited by members of Yarmouth Toastmasters to claim the gavel for their club. One feature of the Traveling Gavel is to encourage Toastmasters to visit other clubs. Toastmasters Catherine Ford and Edie Murray have composed a hand-over ceremonial document to be read when clubs transfer this parliamentary icon. 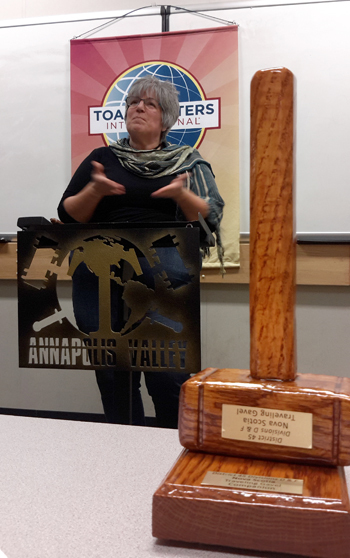 The Annapolis Valley Toastmasters launches their New Year July 1/2016-17 with an exciting and ambitious schedule of open houses, contests, and speeches. Every meeting is open up to guest come join us.